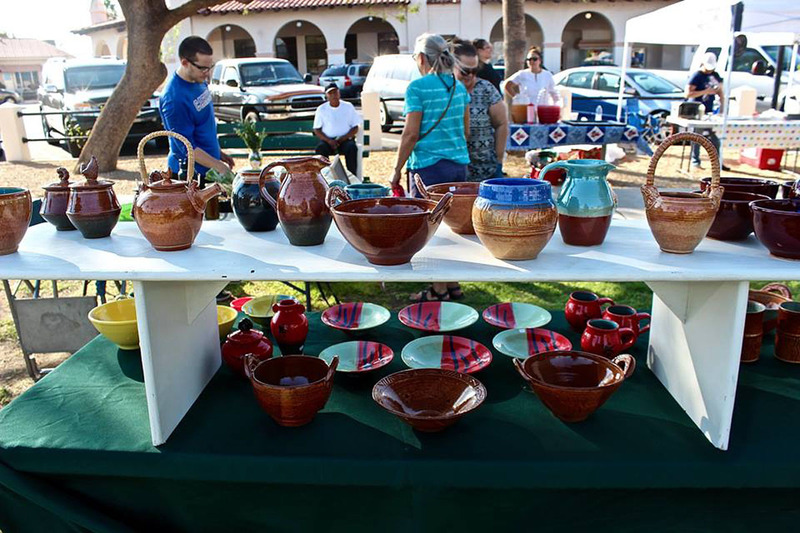 VISIT US IN AJO’S HISTORIC TOWN PLAZA! The Authentically Ajo Farmers Market, starting as just a small table stand about five years ago, has grown up and is now a twice-weekly Market waiting for you to explore! It’s a family fun experience where you can simply relax and enjoy, maybe try a locally prepared food or buy a locally made piece of art while the kids are entertained on the Plaza Green. 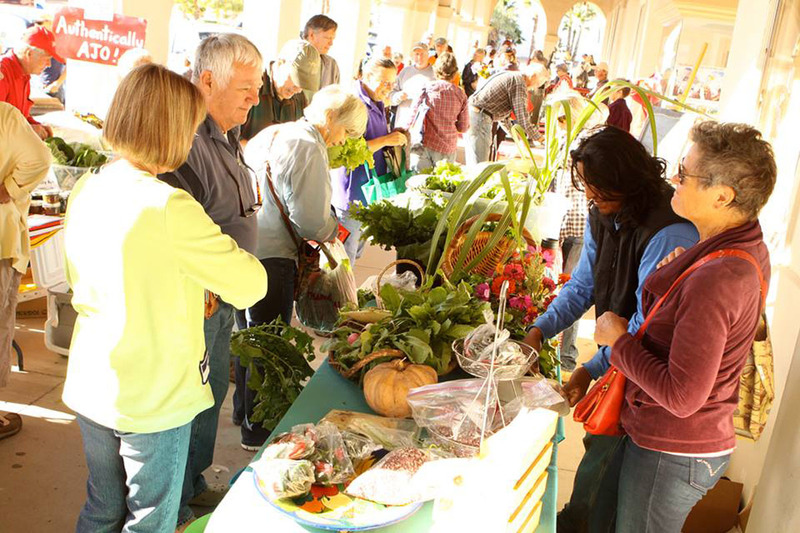 This Market promotes “Buy Local, Eat Local” and provides locally grown vegetables/fruit/eggs, locally produced foods and locally created art, crafts and body products. 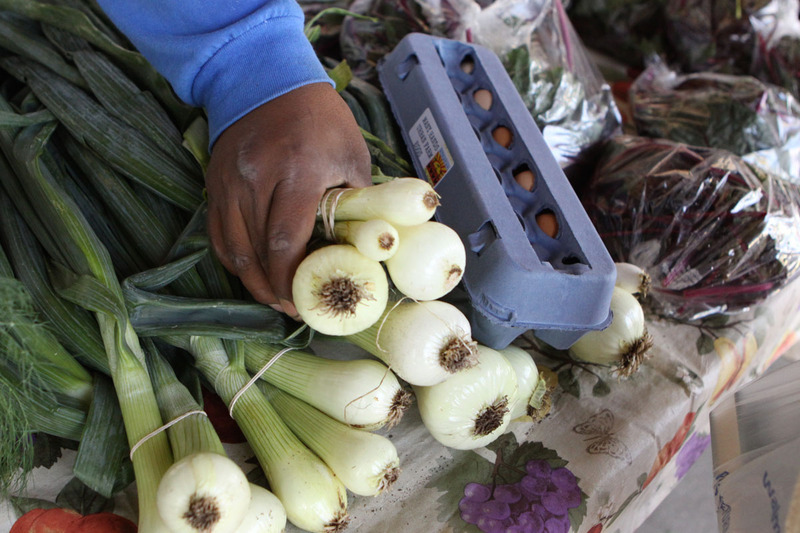 A project of the Ajo Center for Sustainable Agriculture (Ajo CSA), this Registered Market highlights the best of Ajo! It’s a reason to bring your family and stay awhile! 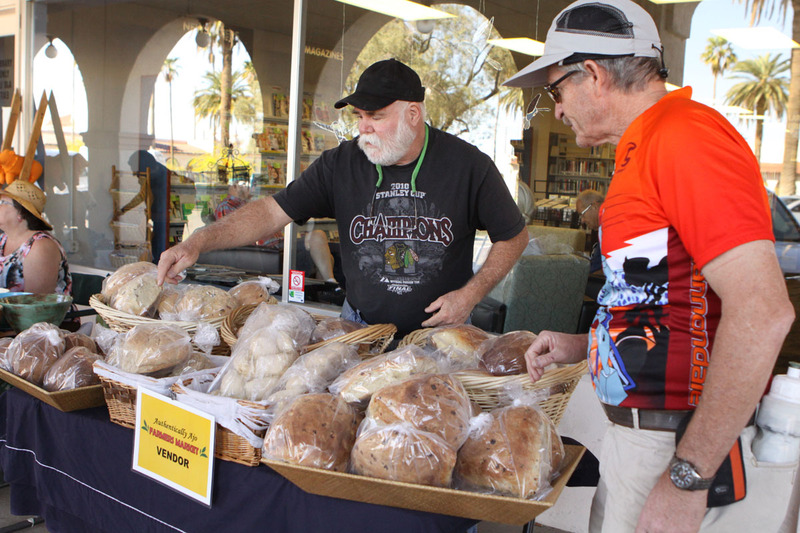 The goal of the Authentically Ajo Farmers Market embraces a broader agricultural movement whose mission is to raise awareness, educate, and involve community members in the more nutritious, healthier lifestyle that is possible to achieve while living in the community of Ajo. Ajo farming produces nutritious, 100% organic food almost 12 months a year. “Visit our farm and hen house on Orilla Ave. any time! The gate is always unlocked! Just make sure to latch the gate behind you so the javelina don’t feast on our crops.” Says Nina Sajovic, Director of the Ajo Center for Sustainable Agriculture (Ajo CSA). Jane Canon, Director of the Ajo Community Garden Consortium (ACGC) located on N. Cameron Ave. will tell you the very same thing. Her enthusiasm coaxes many Ajo residents into renting, for a very small fee, a personal garden plot there if they don’t have space at their own home. And, Gayle and Don Weyers of the Loma Bonita Garden and Orchard are willing hosts, as well, on their large garden properties on Esperanza Ave. Even our Ajo youth are hosting events at their school garden on the Ajo Unified School District campus on Well Road. Their garden produces organic vegetables for the school cafeteria. Many additional family gardens are springing up all over town in response to the education provided by the Ajo Center for Sustainable Agriculture (Ajo CSA). For $5 per year, community members can join their Ajo Gardeners Network that provides free seeds, seedlings and compost many times a year for backyard gardeners. In addition the Ajo Center for Sustainable Agriculture holds weekly workshops and tutorials to educate those interested in learning. You may want to reserve a spot at their two-day Small Producers Forum and Sonoran Desert Crop Celebration on November 15 and 16. Email ajocsa@hotmail.com for more information and to be on the mailing list for notifications of upcoming events. Follow on Facebook at Authentically Ajo Farmers Market as well as Ajo Center for Sustainable Agriculture.